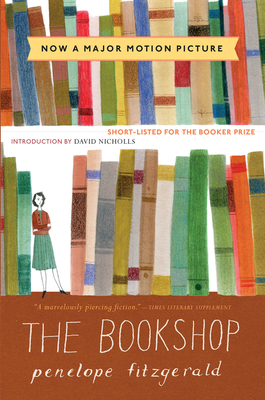 This new edition features an introduction by David Nicholls, author of One Day. PENELOPE FITZGERALD wrote many books small in size but enormous in popular and critical acclaim over the past two decades. Over 300,000 copies of her novels are in print, and profiles of her life appeared in both The New Yorker and The New York Times Magazine. In 1979, her novel Offshore won Britain's Booker Prize, and in 1998 she won the National Book Critics Circle Prize for The Blue Flower. Though Fitzgerald embarked on her literary career when she was in her 60's, her career was praised as "the best argument ... for a publishing debut made late in life" (New York Times Book Review). She told the New York Times Magazine, "In all that time, I could have written books and I didn’t. I think you can write at any time of your life." Dinitia Smith, in her New York Times Obituary of May 3, 2000, quoted Penelope Fitzgerald from 1998 as saying, "I have remained true to my deepest convictions, I mean to the courage of those who are born to be defeated, the weaknesses of the strong, and the tragedy of misunderstandings and missed opportunities, which I have done my best to treat as comedy, for otherwise how can we manage to bear it?"